Can't attend? Follow HADO Singapore Community to know of future events! 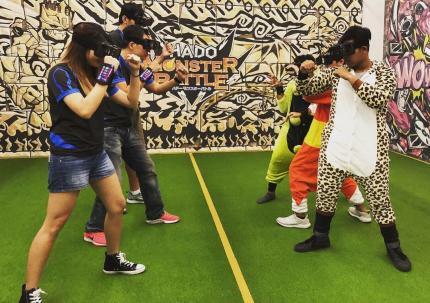 HADO (波动) is the first-ever eSports based on wearable devices using Augmented Reality (AR) technology. It is the world first AR TechnoSports from Japan. With a head-mount display and motion sensor worn on your wrist, unleash energy balls to smash opponents and create shields to block opponent’s attack in the real world! Strategize HADO Player vs Player (PvP) team play with your friends and be creative to win! There will be lots of running but get a good workout while having fun. Experience this alternative lifestyle sports with AR today!